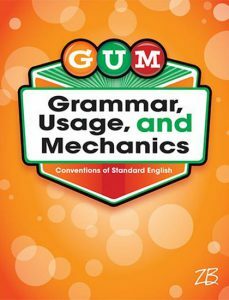 With Grammar, Usage, and Mechanics, students master the conventions of standard English critical for effective writing and success on next-generation assessments. The program’s cumulative progression of skills from grade level to grade level ensures greater skill development and retention. 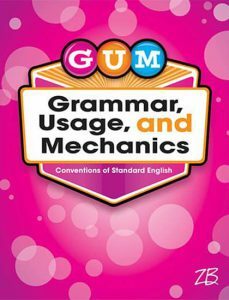 Student Edition features 60 (Grades 2–6) or 72 (Grades 7–8) two-page lessons plus an all-new spelling practice lesson in each unit; review and extra-practice pages; proofreading activities; endof- unit tests that include reading passages and text-dependent questions formatted to mimic PARCC, SBAC, and other high-stakes assessments; a convenient Grammar, Usage, and Mechanics Handbook; and more! Student Edition and Teacher Edition eBooks provide lessons electronically on any desktop, laptop, or tablet device. Student Edition eBook license includes access for up to 30 students per classroom for one year, and Teacher Edition eBook license is per teacher for one year. 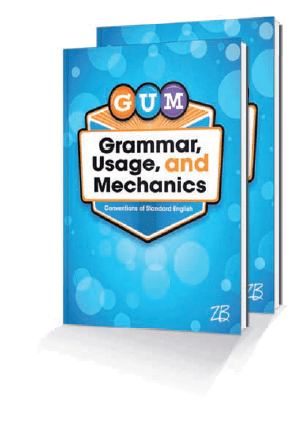 Grammar, Usage, and Mechanics is flexible, and the uncomplicated five-part lesson structure makes it easy to integrate into a variety of classroom settings with self-guided instruction and practice. 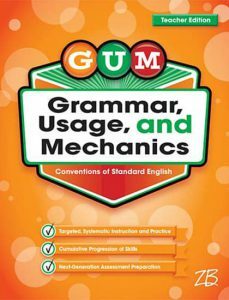 Supplemental—Supplement a traditional basal reading program with intensive grammar instruction and practice. 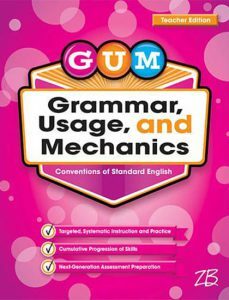 Systematic—Incorporate systematic grammar, usage, and mechanics into a Writing Workshop approach. Targeted—Provide targeted support to struggling learners in language centers. 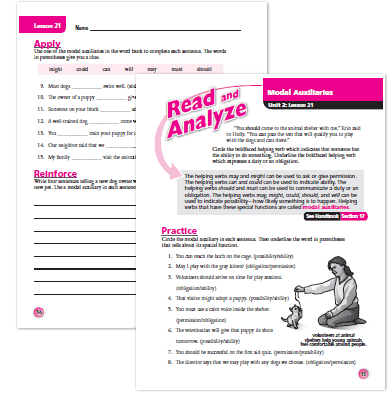 Preparatory—Give students extra practice to prepare for high-stakes assessments.